On December 12th, 2012-- 12/12/12-- Tim Taylor looked back on the worldwide results of ORT for the year. CONECTers in Kenya In the first of more than 20 city prayer centers and 6 churches launched through ORT. Never has so much been owed to so few who did so much with so little for so long! Tim Taylor - from a sermon in Topeka KS as he honored a city CONECTer David Epps. Click here for ORT Topeka! I started to write an email to all those leaders who have worked with me using Operation Rolling Thunder (ORT) to mobilize and connect the Church in their city, region, state or nation. The event that prompted this communication was an invitation from Jason Hubbard. He is the founder of Light of the World Prayer Center which was the first of 5 city prayer centers launched during the first three months of ORT in 2008. Jason asked me to come and join them today (12-12-12) at a dedication service at LOWPC. It caused me to take a moment, step back and consider where ORT began and how far it has come. It began as a word God gave me which I spoke to three leaders in December 2004. It is recorded in my book (click here for the ORT book). I remembered the first time I met Jason. He was serving as an associate pastor of a local church. As he began using the strategy to mobilize and connect the churches in his area God began to speak, move and birth. It led to the launch of five city prayer centers on three continents in the first three months of ORT. Light of the World Prayer Center was the first of the five. Today LOWPC has become a vibrant ministry affecting powerful change in their community and is one of the flagships illustrating the beauty of God's wisdom displayed through ORT as it establishes 24/7 prayer while gathering the elders at the gates of the city. They have 9 strategic (apostolic) councils combined with 32 churches working together monthly to raise up a canopy of 24/7 prayer over their city. 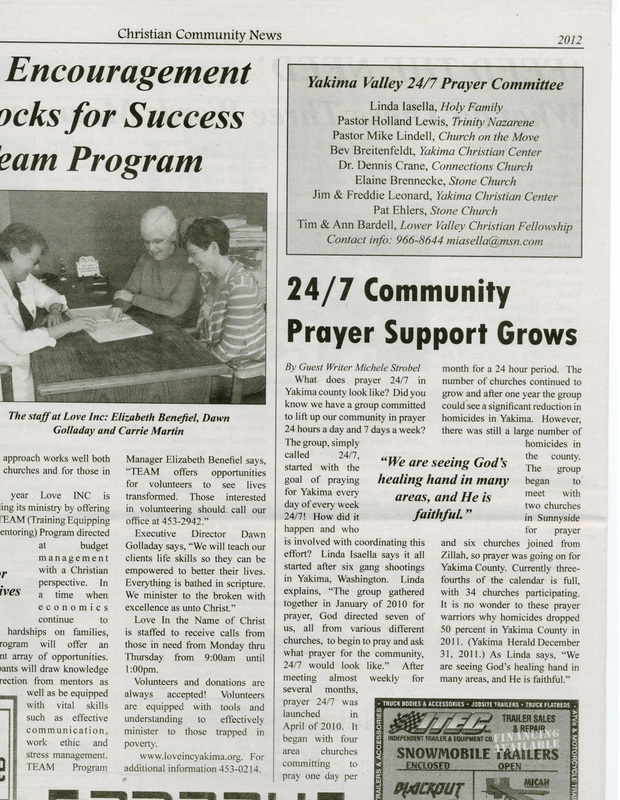 What began as a city prayer center is turning into one of many Apostolic Resource Centers (ARC). 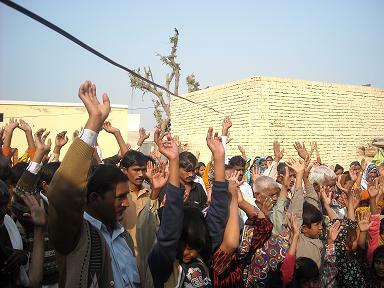 LOWPC was followed by Power to Change Prayer Center in Kenya, two prayer centers established in Sahiwal and Lahore respectively by Pastor Shahbaz, and another prayer center in Myanmar launched by Pastor John Mark. Since then we have lost count of the number of leaders and churches we have served. We quit trying to count once it reached 10,000+. Then we began to count cities and now we've simply resorted to counting nations (36 that we know of). However, these original leaders, I call them CONECTers, have continued working with me and a covenantal relationship has developed. Each of them has grown from one to a network of churches, ministries and prayer centers. The sons have become fathers. From these original five leaders we've seen 29 city prayer centers and 21 churches birthed (12-12-12 report hours after this article was posted from Pakistan changed our numbers - make that 32 prayer centers and 41 churches) . The pastors of individual churches or ministries have become bishops (overseers) of a multitude. Bishop Shahbaz in Pakistan reports of great persecution and yet of remarkable miracles (Muslims having personal supernatural encounters with Jesus) and great favor. Recently an Islamic Institute invited him to speak to them about Jesus and Christmas. They gave them 150 copies of my book in Urdu. Since 2008 they have trained over 867 CONECTers in 13 cities. Just two weeks ago the government granted one of their Christian colonies land for the Church to build a building and a prayer center. Bishop Thomas just hosted a meeting with some of Kenya's CONECTers in the original Power to Change Prayer Centre in Kissi. He has gone from one to a multitude. He calls me "Father." Now the son has become a father to many more. The miracles, salvation, and deliverance's he reports are constant. The same kinds of reports come out of Myanmar as well. Bishop John Mark was one of the original five (MT Horeb Prayer Center) launched. Since then he's seen God establish 4 city prayer centers and 13 churches planted. Why just last week he reported the 14th church planted. There was a jungle village that saw 70 accept Christ. He just ordained another pastor too. This strategy launched through and by Watchman Ministries International has turned into an international kingdom league. These are the fruit of the anointing and gift God placed in my life to serve others. So now with the Church in the greater Bellingham region (Whatcom County) I remember with great joy, this young man who began as an associate pastor and now has become a leader and a catalyst in his community to unite the body of Christ while forming a new wineskin that invites God's abiding presence into their community. I remember the start of Operation Rolling Thunder when it was just a word to me and delivered to three people. I remember how God has given almost 70 unusual signs and wonders to mark His strategy and His word. I remember all of those who I have not mentioned were were not part of the first five. I remember Gainesville FL, Springhill TN, Gig Harbor WA, Jefferson County WA, India, and the list could go on an on. This story is still being written by leaders Christ has called as CONECTers. The biggest thing I remember is God's faithfulness, His goodness, His mercy, and His desire to see His house become a House of Prayer for all Nations. Every city that we can mobilize and connect the body of Christ to pray and offer up praise and worship 24/7 is helping build that eternal House of Prayer for All Nations (Isaiah 56:7). To learn more about ORT and how you can use it to mobilize and connect the churches in your city and region visit www.ORTPrayer.org or you can ally with us through prayer and regular financial offerings by clicking here! I invite you to ally with us in this spiritual war and building project. On a ministry trip to Kansas in the winter of 2012, Apostle Tim prepared a message with the theme, "It is time to adjust your moral compass." Tim says, "Our heavenly Father is so passionate about this that He marked this message (His message) with a number of signs and wonders. The signs begin with the logo my Lord had me develop in 2011 (click here - KLI Logo overview). The Lord directed me to use a compass rose as the Church had lost her moral compass and her voice. KLI had an assignment to help the ekklessia get her voice back. Next I created a Power Point with 4 slides to complement the message I was given. It included an analysis of a number of decisions in this recent election that indicate the Church has lost her moral compass. I used KLI's logo to display the compass rose and teach how forces in the earth to work to cause the compass to deviate and then how to correct it by getting a true bearing from a heavenly object like the sun (Son). I also used the Papa Flag to introduce how God is calling the remenant to enter the ARC (Apostolic Resource Center) or the "apostle ship" in each city." That same day, back at home in Washington, as Tim's home Church met they prayed for him. One of the elders prophesied how that somehow the Lord was giving him a key to the heartland of the USA. This elder had no idea that one of the gifts the host ministry had given Tim was a key which says Kansas on one side and has a heart on the other . Apostle Tim remarks on the experiance, "I am so thankful for how the Lord has continued to trust me with His message that He chooses to mark with signs and wonders. But this time, my encounter with Warring Doves and the people of Kansas sure left a mark on me... Holy Spirit's orchestration of teamwork amazes me."